James A. Percoco has received numerous awards for his work in history education. He has taught U.S. and Applied History at West Springfield High School in Springfield, VA since 1980. He is the author of several books, most recently Summers with Lincoln: Looking for the Man in the Monuments; and serves as History Educator-in-Residence at American University. Dawn. The Blue Ridge Mountains, of Pennsylvania, in the western distance, down Chambersburg Pike have an ethereal purple hue as the sun captures their crest. Closer to the ground where we are standing the mist is beginning to lift this mid-October morning. Students and chaperones huddle close together to ward off the autumn chill. All is quiet for this moment I have planned. Reaching into my satchel I pull out my set of Tibetan bells. Asking for perfect stillness from my students and chaperones I bring the bells together. As their ring echoes and trails off, I invoke the Spirit of History to be with us this day as we explore the site of the largest battle of the Civil War. Seven hours later we will head back to West Springfield High School, and my students will never look at a historic site in the same way again.
. . . my students will never look at a historic site in the same way again. This article will help you to craft deeply rich learning experiences for your students. The lens through which we will use to explore this topic is my annual pilgrimage to Gettysburg National Military Park. Any of the strategies modeled here can be easily adapted by you to use at any historic site you choose. figuring out how, what, and where you want your students to learn. Planning is essential, and yes it will take hours, but in the end everyone is rewarded for your hard work. Before you take students, visit the site yourself, several times if necessary. Speak with site staff about your visit and keep a sharp eye and ear attuned to the narrative told at the site. Pick up tidbits along the way that you can use to transform the total experience. If the site has audio-visual programs look at them and determine if you want your students to see them. Doing so will help you to determine your time frame for visiting the site. Your use of time is crucial, particularly if you are visiting a large site such as a battlefield. Early on I learned that what makes a field trip more meaningful for students is getting them involved. I don’t want to simply be a tour guide. 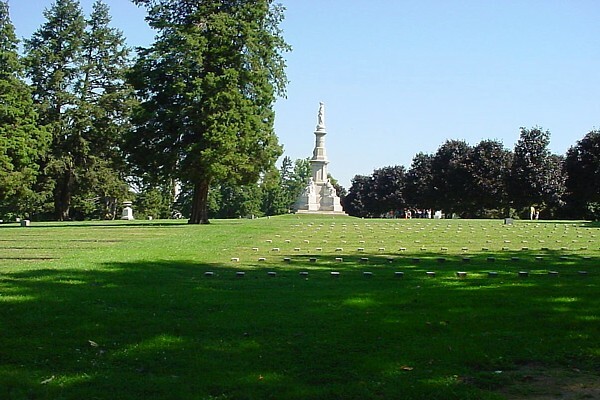 For our trip to Gettysburg I ask for student volunteers to teach all of us about what happened to certain individuals at site specific locations, what I term "battlefield vignettes." Working with the National Park Service staff at Gettysburg I assembled file folders of information about seven or eight people who were part of the Gettysburg story. Student historians are then given these folders about a week before the trip to help them to prepare for their presentations. At different stops along the way, we disembark from our motor coach, and the student historians share what they have learned about these characters and what happened to that person at the specific site from which they are speaking. This provides an optimum experience on a variety of levels; it sharpens students speaking skills, it allows peers to see others in action, and it forces the student historians to "get into" the story of their character and be a historian.
. . . student historians share what they have learned about these characters and what happened to that person at the specific site from which they are speaking. My role on the trip is to provide necessary background information about the battle as we drive along in our bus. At different places we stop I will read dramatic primary source accounts of key moments in the battle. Before I read I ask everyone to take their minds' eye back to that time and place and settle in with the moment of the past. On the crest of Cemetery Ridge, at the Angle, where Pickett's Charge was repulsed, I read several eyewitness accounts of the actual combat that took place where we are standing as well as reflections on the site that were written the day after the battle was over. These prove to be powerful and moving as history becomes transcended. It is important to have students reflect on their experience and the best way to do that is to have them write reflective journal entries about their visit. (See here for example of prompt.) Entries are crafted to plumb not only the intellectual components of their visit but also their feelings, affirming what Ralph Waldo Emerson famously wrote, "There is no truth but in transit." Field trips can be the ultimate learning and teaching experience and provide you and your students not only a slice of history but a lifetime of memories as well.